Sometimes you just need to add a little FUN to your Bible lessons! Our Bible ABC Letter of the Week program is filled with fun, hands-on activities, games, and teaching resources. 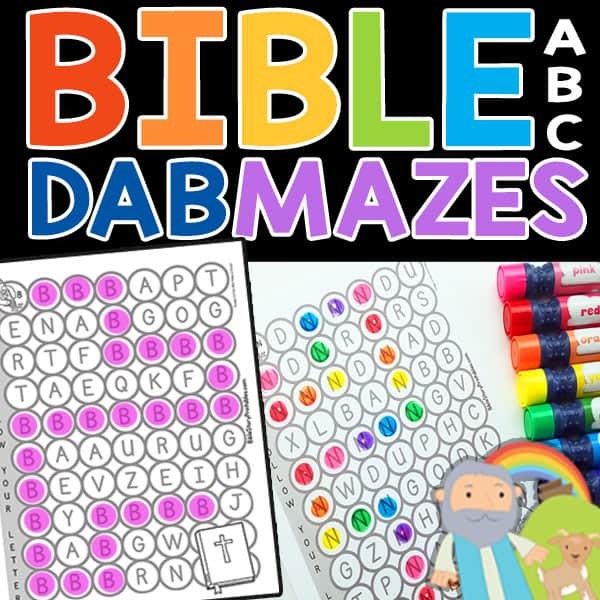 Last week, we added some fun (lowercase) Bible ABC Dab and Dot Worksheets. They were an instant hit, so if you missed that announcement, be sure to go back and check it out. 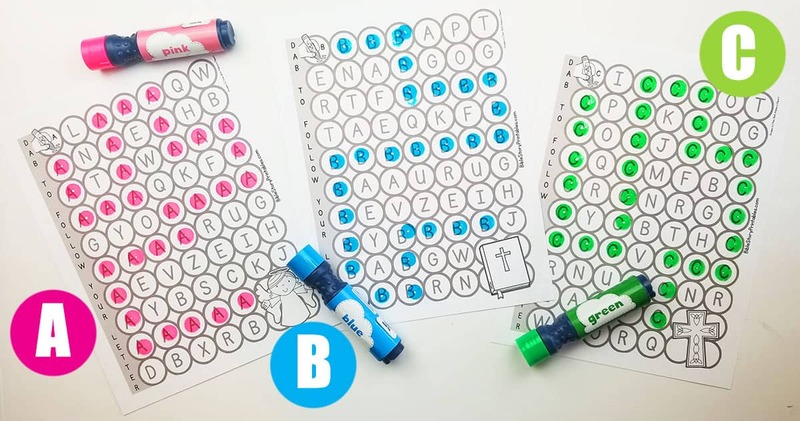 Well, today, we’ve created another fun pack of Bible ABC Dot Mazes that would compliment this (or any other letter of the week) program that you are using. 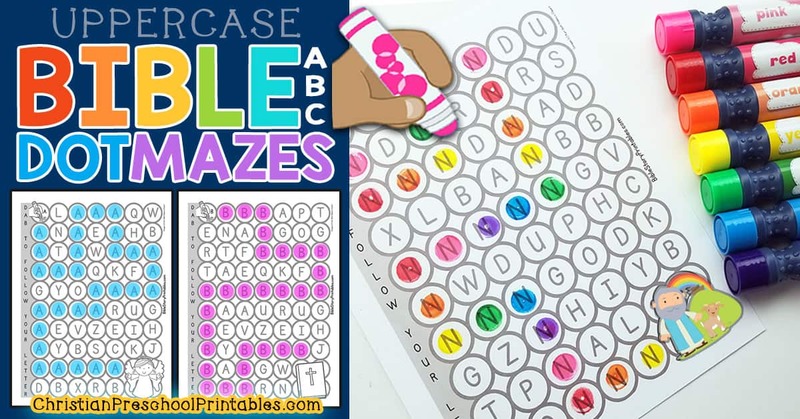 If you’re not familiar with Dab and Dot mazes, they are basically mazes in which the student dabs to follow a specific number, or in this case letter (horizontally or vertically) until they reach the end of the maze. 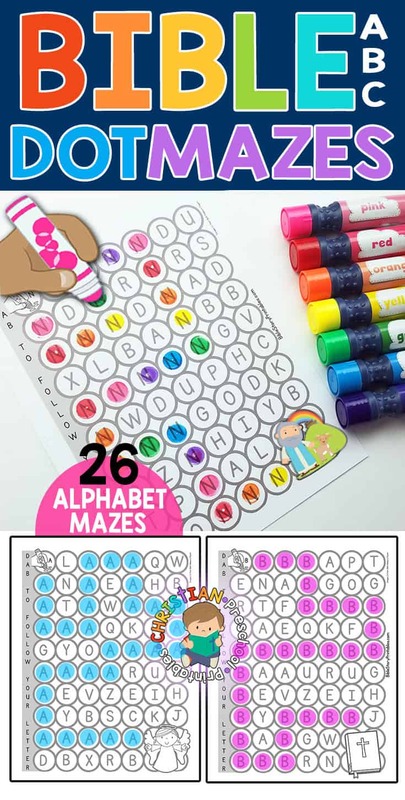 They are tons of fun for children of all ages and work wonderfully as hand-on learning tools in your classroom. This particular set focuses on the uppercase alphabet. 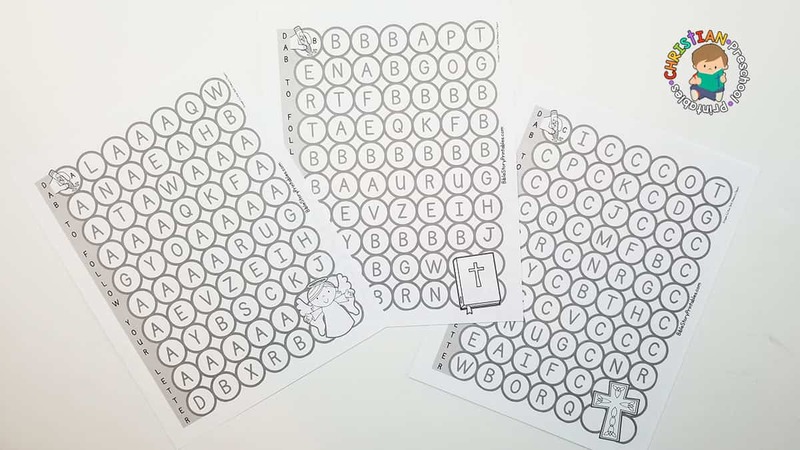 Each worksheet features a beginning letter Bible topic (A for Angel, B for Bible, C for Cross…..etc.) and the goal to to reach the end as quickly (and as accurately) as possible. 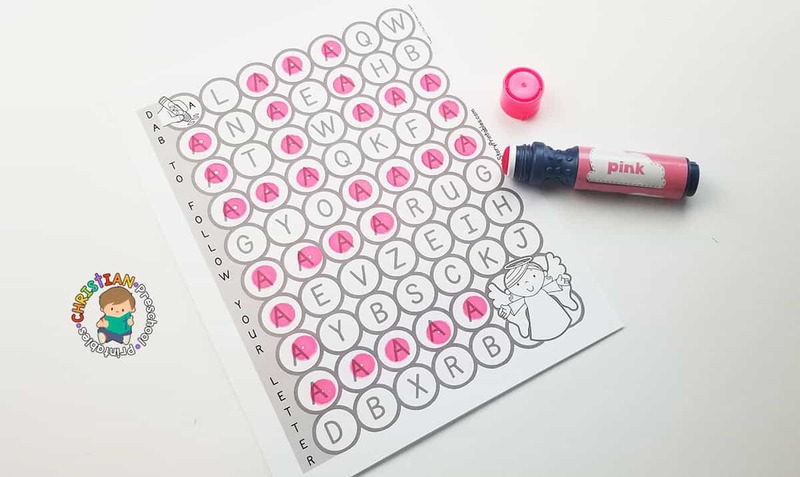 This set includes the entire uppercase alphabet, so your kiddos are sure to have pleny of learning fun! You can purchase this set in our TPT store here.